SPEEDING CHARGES IN PELHAM, ALABAMA? Have you been charge with speeding, reckless driving, running a red light or stop sign, or speeding 25 over in Pelham, Alabama? The attorneys at Kreps Law Firm can fight your traffic charge. We are knowledgeable and experienced with traffic defense. 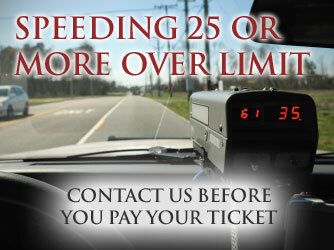 Call us to discuss your traffic charge and the options you have to fight it. Pleading guilty adds points to your Alabama Driver's License, but you do not have to let this happen to you.